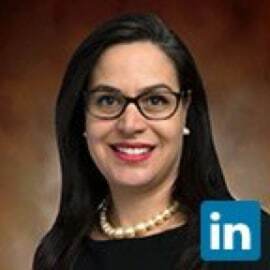 Francesca Domenech Wuttke, Ph.D., is a Managing Director focused on identifying new investment opportunities in Europe for the Merck Global Health Innovation Fund, LLC. Dr. Wuttke brings with her broad drug development and healthcare expertise in both the US and Europe, with over 20 years of clinical, commercial, strategic and transactional experience. She has worked with diverse organizations including start-ups, consulting, large and specialty pharma as well as academia. Most recently Dr. Wuttke led Almirall's Corporate Development Strategy team to transact on both med device and pharma M&A opportunities with a new and targeted focus for the company. Before that Dr. Wuttke worked at Novartis where she was responsible for two Cell and Gene therapy opportunities that were successfully brought into the organization as well as managing the strategy and commercialization for the existing portfolio of cell therapy assets. Dr. Wuttke holds a Ph.D. in Pharmacology from Weill Cornell Graduate School of Medical Sciences and a BA from Cornell University College of Arts and Sciences.